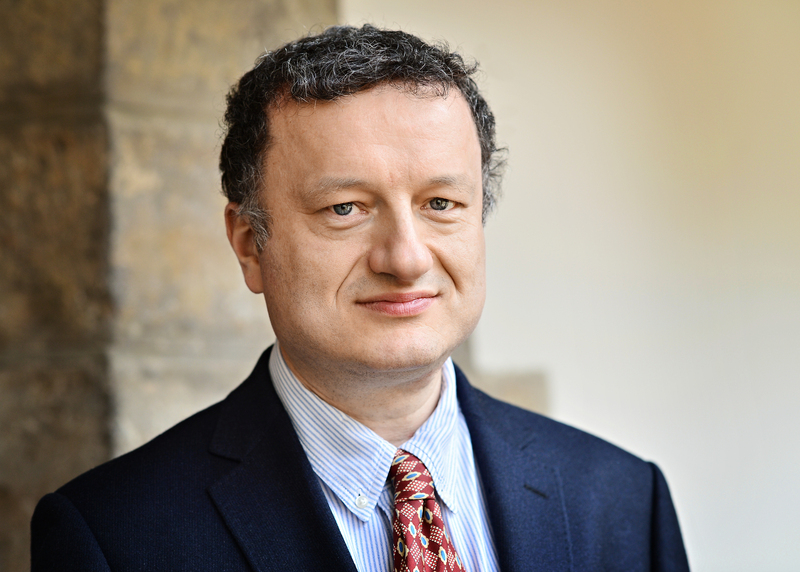 Jan Konvalinka is associated professor at the Department of Biochemistry of the Faculty of Natural Sciences of the Charles University in Prague, Czech Republic. He also leads a research group at the Institute of Organic Chemistry and Biochemistry of the Academy of Sciences of the Czech Republic. He has been a recipient of a number of international scholarships and grants including Howard Hughes Medical Institute International Research Scholar and enjoys extensive support from industry. What do you consider the most formative phase of your research career? For me it was my PhD project with visionary scientist Petr Strop at IOCB (Institute of Organic Chemistry and Biochemistry) in Prague – a person never satisfied with any success, always planning ahead, always full of energy and strange ideas. I loved every minute of it. The second important moment (like for most scientists) was my postdoctoral stay in the laboratory of Hans-Georg Kraeusslich in Heidelberg. I entered his lab at the peak of HIV infection and working on retroviruses was a very hot and fascinating thing to do. At the time of leaving his lab I was fortunate enough to get a Howard Hughes Medical Institute grant, which enabled me to establish my own independent lab in Prague. This was the third and most important decisive moment of my career. What are some of the challenges in your field right now? We work on so many projects at the moment that I do not know what exactly “my field” is anymore. If I think about medicinal chemistry, one of the major challenges is the sad fact that we are “running out of enzymes” – most of the more or less obvious enzyme targets for drug discovery have been either already exploited or are currently studied very intensively. We will have to look at novel, much more difficult targets for drug development, such as protein–protein or protein–DNA interactions. This is a very tough problem to solve, but who said that life is easy? What aspects of your life as a researcher do you most enjoy? Certainly the interaction with students. I have always been blessed with very talented and hard-working students; many of them are much smarter than me and some of them will surely be much more successful than I will ever be. It is a very rewarding feeling. What do you look for when selecting students and staff for your research group? I have been very lucky so far: we always worked on topics considered very attractive and I teach at the university where a number of students are interested in working with us – so I have the luxury to be able to choose the best. I always give an applicant for a position a discouraging talk: I explain to them that most experiments do not work and that the topic I am offering them will be very difficult because if it was easy, it would have already been solved. And as soon as it starts to work, we usually have to switch to another project that will also not work. The single most important quality I expect from my prospective student is “tolerance of frustration”. They will need a lot of it. Can/should biochemists and molecular biologists be interested in research beyond their own area nowadays? We absolutely have to be. It is increasingly difficult to keep up with the literature even in your own field not to mention others, but it is still very important to keep trying. Discoveries very often come at the interface of two scientific disciplines and we need to be prepared to pick up an idea or a technique of colleagues from different fields. My personal answer is that I do not see it as a dilemma at all. In my field excellent pure research can easily lead to applications – very often unpredicted and unexpected ones. I know that it sounds dull but it is my repeated experience that research is either good or poor. Poor research does not bring anything, whereas excellent research can lead and does lead to applications very often. Jan Kovalinka studies proteolytic enzymes as key regulators of physiological processes. These enzymes play a crucial role not only in food digestion but also in tightly controlled processes like apoptosis and the cell cycle. His group analyses the role of proteases in viral replication and in cancer development. Together with his co-workers he developed some of the first substrates and inhibitors of HIV protease, contributed to the understanding of the substrate specificity of retroviral proteases, and provided structural and biochemical characterization of proteolytic enzymes implicated in neurotoxicity and prostate cancer development. Recently, his group introduced a set of interesting chemical biology tools for imaging, isolation and quantification of biomolecules.